For many kids, summer camp is the highlight of summer vacation. What if you could recreate the magic of summer camp in your own home? Well good news: you can! 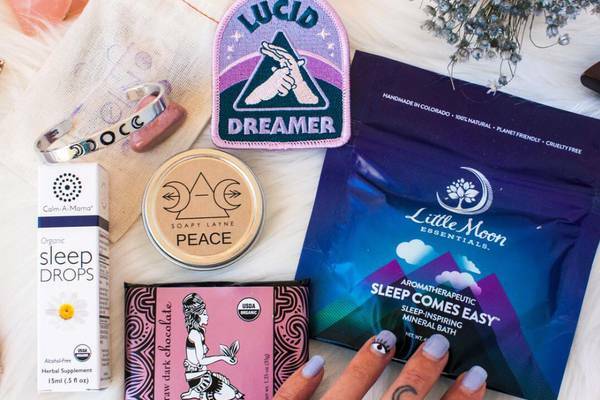 Cratejoy’s rounded up 20 different subscription boxes that will let you bring unique elements of summer camp conveniently packaged to your front doorstep (think arts & crafts, science experiments, board games…). As an added bonus, your kids will put down their electronics and engage in hands-on learning! What You’ll Get: Keep the kids entertained for hours at a time with Surprise Ride ! They’ve already thought of everything for you, so you can take a break while the kids learn and play without the gadgets (a godsend during the summer!). Each box has a theme which includes all the supplies needed for one hands-on activity, a book, a snack, and instant fun. Perfect for kids ages 6-11 (or younger with adult supervision). What You’ll Get: A hands-on way to teach the kids about world history, Mysteries in Time sends young historians a time machine bursting with high-quality, fun activities bringing world history to life. The kids will get to follow Max & Katie’s exciting adventures through history in the illustrated story books, while learning fun facts in the colorful history booklet. What You’ll Get: Encourage academic growth and fun all summer long with MyEduCrate, an award-winning monthly subscription that delivers educational themed items to motivate and engage your 6-11 year old child’s growing mind. Each box will include learning challenges, hands-on learning materials, resources selected by certified teachers, and nonfiction readers. What You’ll Get: The first steps in getting a good education is by learning to read! What better way to support your childrens’ reading habits than through a monthly delivery of curated books? Each month, your kid will receive 2 to 3 books that are picked based on their reading preferences! Shipping: Ships to select countries from the U.S.
What You’ll Get: Remember collecting twigs and leaves for art projects at summer camp? Well, with the TerraCrate by Narwhal Natural , kids are encouraged to get outside to collect materials to enhance their projects and learn more about the natural world. Each month, your tween (8-12) will receive a box with quality craft supplies curated around a theme that uses one or more natural elements such as sand or wood as a key component. What You’ll Get: Want to send your kid to music camp but are balking at the lofty price? What better way to introduce your kids to new tunes and teach them to appreciate different artists than with a subscription of three new vinyl records per month with Vinyl ! Make sure you’ve got a record player ready for all the amazing new tunes headed your way. What You’ll Get: A crafty subscription box with a twist! This box is the perfect way for your kids to stay busy while learning about the importance of having a healthy diet. Each box comes with kid-friendly recipes, a packet of seeds, plus arts and crafts projects all based around the veggie of the month! 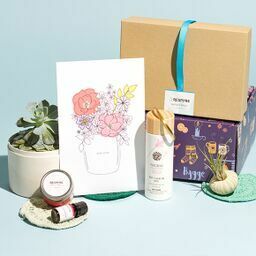 What You’ll Get: Your kids will not have idle hands this summer with this craft subscription box. We Craft Box delivers the supplies (all already prepared!) for 2 to 3 crafty projects every month. This is such a great way to stay productive and have fun, all in one! What You’ll Get: The Spangler Science Club is like science camp in a box, featuring the coolest hands-on science experiments designed by Steve Spangler. Your kids will be able to conduct STEM experiments and take on take-it-further challenges that combine the perfect mix of critical thinking, tinkering, and fun. What You’ll Get: No coding camp in your area? Get them a subscription to Bitsbox ! Founded by Ex-Googlers, Bitsbox is a subscription that offers dozens of new app projects to re-ignite kids’ interest in coding every month. Kids love getting physical stuff in the mail, and Bitsbox uses that excitement to help them keep learning. Geared towards 6-14 year olds, this subscription teaches kids to code apps for real devices. What You’ll Get: Give the gift of STEM camp goodness with Creation Crate – they’ll teach your kid how to build electronics with educational projects delivered monthly! If your child likes puzzles, LEGO, building things, or wants to learn electronics…this is the perfect box for them! Recommended age is 12+. What You’ll Get: This summer, instill a sense of pride and confidence in your girls with GIRLS CAN! CRATE . They inspire girls ages 4-8 to believe they can be and do anything by introducing them to fearless women who made the world better. Each crate celebrates the life of an awesome lady from history and includes a 20-page activity book with her story, 2-3 hands-on STEAM activities, a focused character trait to develop, and fun play props! What You’ll Get: Keep the kids active and practicing their favorite sport in the summer with Sports Box Co. ! You’ll receive a monthly box of training tools & accessories, practice drills & tips, gear and other fun products for your athlete. Simply select the sport (baseball, softball, basketball or hockey) and age/skill level; they’ll deliver monthly fun to your athlete’s door! What You’ll Get: Let your kids get their hands dirty, in a productive way! 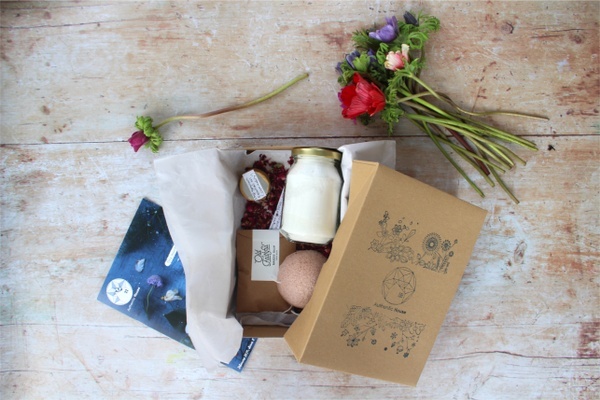 Mud & Bloom is a new, fun subscription box that teaches your kids the basics of gardening. Each box comes with activities, quizzes, and games that are put together by qualified curators. What You’ll Get: Connect with your kids with this unique, baseball-themed subscription box! Collecting and trading baseball cards is always a fond memory, and now you can share it with your growing family! This subscription has several subscription options (depending on which team is your favorite) that include baseball card packs… some are even autographed! What You’ll Get: Get your kids to love nature with Kid Kits! Each month’s box includes 3 to 4 hands-on activities that help teach children to learn and explore nature. Activities are designed for kids ages 3 to 8 and include things like STEM projects and transforming eco-friendly materials into usable tools. What You’ll Get: Making slime at summer camp is a rite of passage! Capture the essence of this fun sensory activity with Sensory TheraPLAY Box, a unique monthly sensory toy box. Boxes are carefully curated with children on the autism spectrum and those with sensory processing needs in mind. You will receive a monthly surprise assortment of sensory toys and tools to engage your child in fun, therapeutic play. What You’ll Get: Ah yes, sitting around a campfire and telling creepy stories…the quintessential summer camp experience. If your kids are interested in the paranormal, then Cryptid Crate is perfect for them! You’ll receive a carefully curated box filled with creeptastic pieces from indie makers and artisans pertaining to Bigfoot, Sasquatch, UFOs, ghosts, and other cryptid and mysterious creatures. What You’ll Get: With all the free time that comes with summer, you can now get your RPG-obsessed kid Dungeon Crate to keep them occupied. Dungeon Crate features the sweetest treasure trove of tabletop and roleplaying game accessories delivering dice, miniatures, game expansions, and other surprise gaming supplies right to your door. What You’ll Get: If you know your kids are going to spend many a summer evening playing board games, spice up their board game collection with UnboxBoardom, a subscription that delivers brand-new board games right to your door! You can select from featured monthly games or just choose to be surprised. Games range from party to strategy to family games. Didn’t see a box you liked? 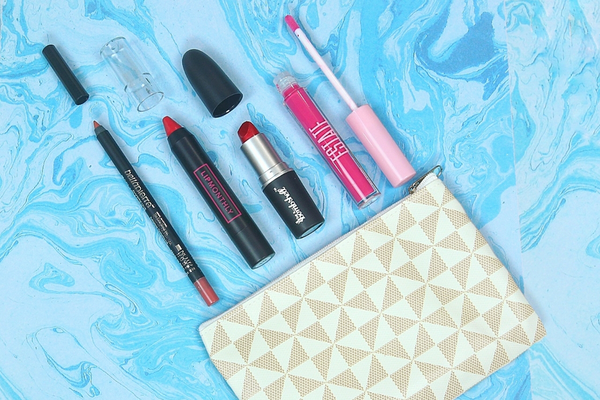 Check out all our other boxes in our Family & Kids collection here! How to Make DIY Slime in No Time! A Quarterly box for Liverpool FC fans built on exclusives and themed releases. Long lasting fresh flowers delivered to your doorstep. 7 days of freshness guaranteed! Solve a new stand-alone mystery each month from The Deadbolt Mystery Society.